ICDF2C 2017 proceedings are published and available via Springer! Get proceedings from ICDF2C 2011, 2012, and 2013 at a reduced price at EUDL Shop! Meet the keynote speakers, Joshua I. James, Domingo Montanaro, Cyllas Elia, and Felix Freiling. Preliminary program now available in full! All accepted and presented papers will be published by Springer and made available through LNICST SpringerLink Digital Library. Indexed in EI, ISI, Scopus, CrossRef, Google Scholar, dblp, MAS, EBSCO, as well as EAI’s own EU Digital Library (EUDL). ICDF2C 2017 will be held October 9 – 11, 2017 in Prague, Czech Republic. We invite contributions for completed research papers, research-in-progress papers, industrial talks, tutorial proposals and workshops. Research papers are evaluated through a double-blind, peer-reviewing process and accepted research papers will be published in printed proceedings by Springer-Verlag. 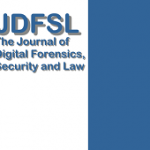 Selected papers will be invited to publish their extended versions in JDFSL journal.